Fig. 2. Acid-inhibition related adverse events reported during proton pump inhibitor administration. 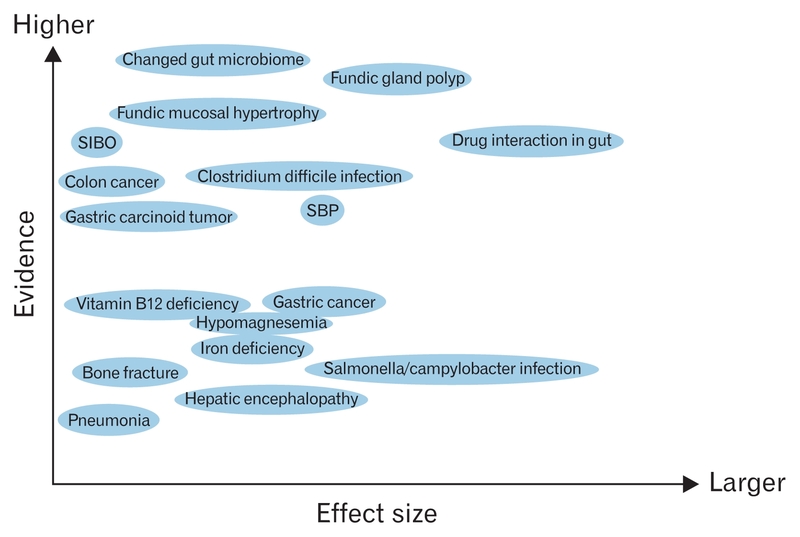 Possible evidence level and effect size of each adverse effect is shown. SIBO, small intestinal bacterial overgrowth; SBP, spontaneous bacterial peritonitis.